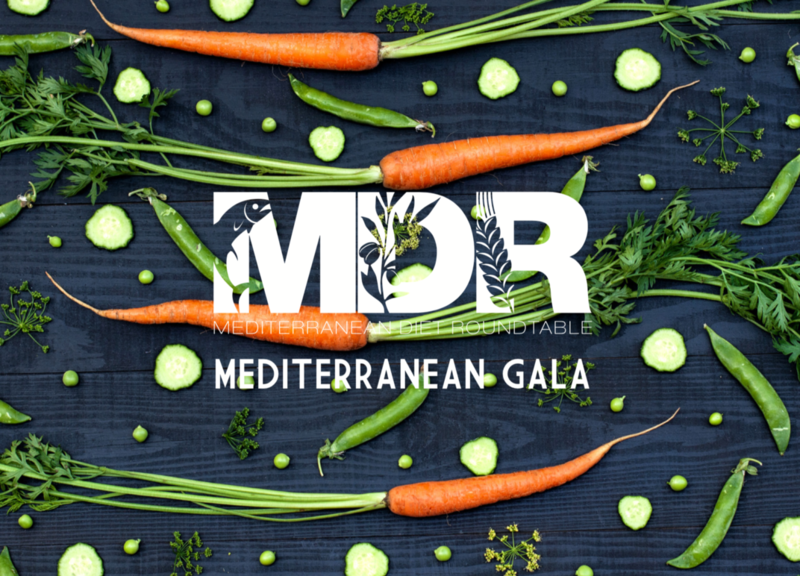 The Mediterranean diet is well documented and acknowledged as a healthy diet. Furthermore, it has emerged as a great sustainable food-system model, with its plant-centered focus. However, this wealth of benefits does not automatically translate into accessing national or international Mediterranean-inspired ingredients and manufacturing practices. 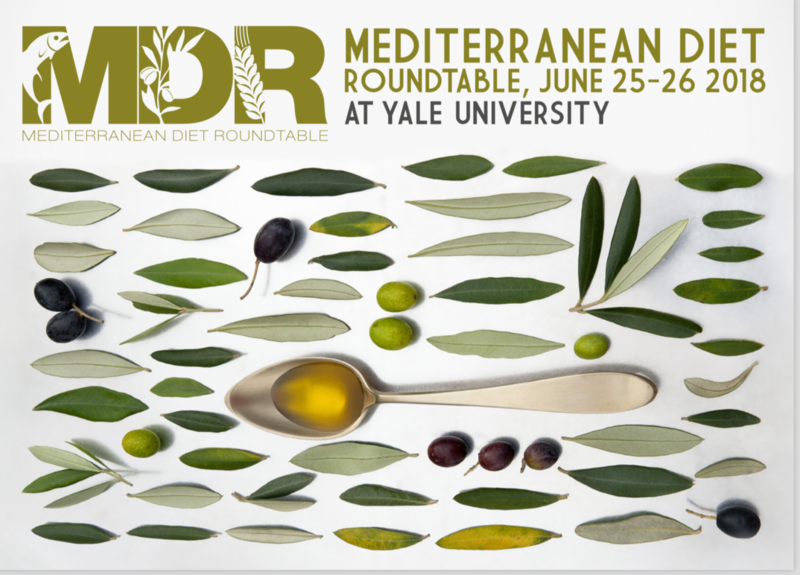 Learning about the health values of the Mediterranean diet, helps to redefine and repositioning the use of certain ingredients (e.g. extra virgin olive oil, fish and grains), leading to a healthier and stronger population. 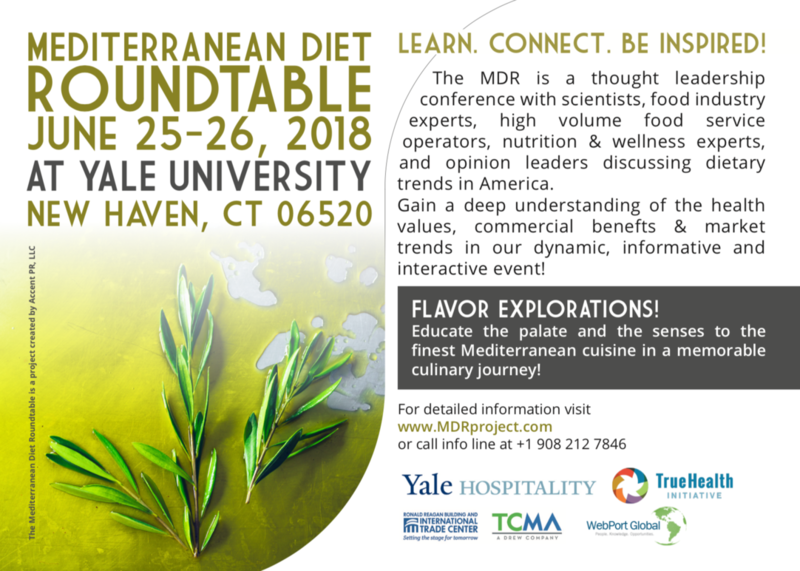 Some good reasons to attend the MDR include the timely topics addressed; the possibility to personally meet with local and global scholars and trend setters; guided flavor explorations; learn how to generate brand equity for products/practices. An important announcement of the 2018 will be the launch of a partnership with the World Trade Center for a dedicated web platform for global trade dedicated to Mediterranean products. 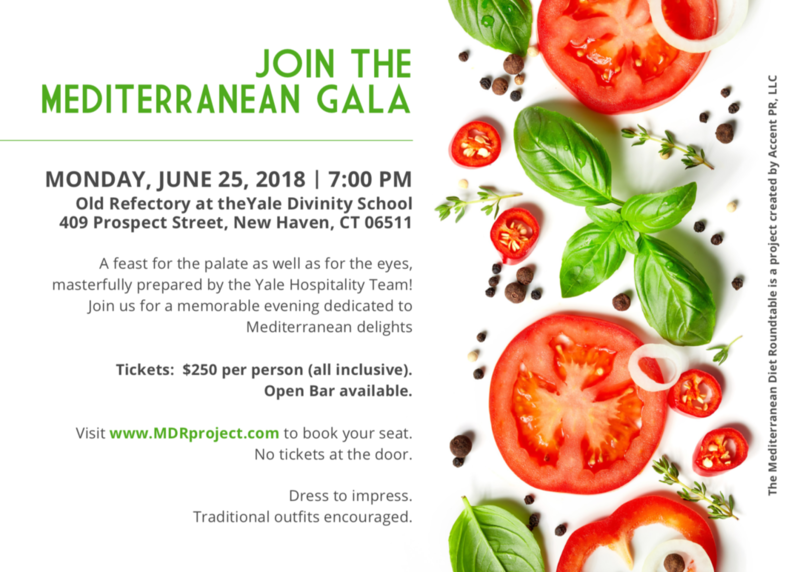 The scientific panel will be led by internationally acclaimed nutrition expert Dr. David Katz, recipient of many awards for his contributions to public health and named one of the nation’s top experts. Dr. Katz is recognized globally for expertise in nutrition, weight management and the prevention of chronic disease, with a social media following of more than 900,000 people. Other stellar panelists include Yale’s very own Rafi Taherian, AVP and Director of the Hospitality division, Greek scholars Prokopios Magiatis and Eleni Melliou, Italian researcher Daniele Del Rio, Mediterranean Diet evangelist and UK scholar Simon Poole, CEO of the American Food Industries Bob Bauer, food ethnographer June Jo Lee and many others. The MDR has been approved for 8 CPU’s credits by CDR.